Have your questions answered by our many members located in Czech Republic! In 1993, a centrally located European nation previously known as Czechoslovakia was split into two independent countries, Czech Republic and Slovakia, with Prague becoming the capital of the Czech Republic. Czech Republic consists of two basic regions; Bohemia (west side of the country) and Moravia (easy side of the country). Bohemia was one of the 1st regions in Europe to undergo the Industrial Revolution causing it to become more modern, more commercial and more metropolitan than its opposite region, resulting in the capital city of Prague being situated here. Moravia, the more cultural of the two regions, is home to gorgeous vineyards, orchards, fields full of organic produce, and filled with scenic mountains and charming little villages. For a small nation with only a short lifetime so far as an independent country, Czech Republic has a lot to offer to people considering moving to the country, or simply for visitors passing by this extremely accessible country. Hundreds of ancient castles and monasteries are scattered across the cities with historical museums usually found nearby. 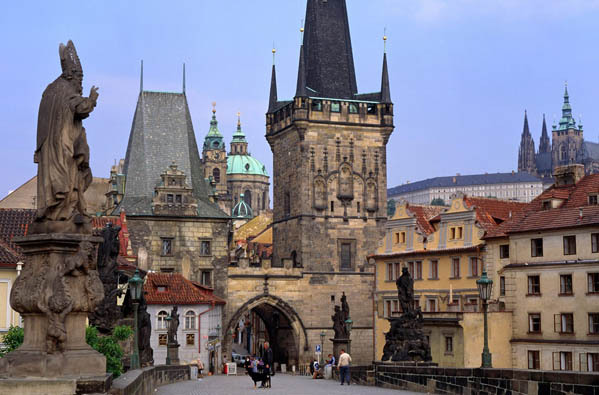 The Czech Republic contains a vast amount of architectural treasure and its mountain ranges are an attraction to many. Located in central Europe, the Czech Republic is ideally located for high levels of tourism, and that is exactly what they get each year. One of the many reasons people come tovisit the Czech Republic is to taste and experience the wide variety of their world renowned beers. The Czech Republic is famous for brewing some of the most popular beers in the world, and as a result has the highest beer consumption per capita in the world. Breweries are located all across the country, some of them large corporate organisations and some of them local family business’s. The most famous Czech beer brands include Pilsner Urquell, which was the world's first pilsner and pale lager beer, and Budweiser Budvar, which is today one of the most popular beers in the United States. The two cities most associated with Czech beer are Plzeň and České Budějovice. The Czech Republic also has its own currency. Even though they are an accepted member of the EU, the citizens buy and sell using Czech Crown (Kc), although presumptions have been made that the Czech Republic will adapt the Euro currency by 2014 at the latest. We have thousands of local members waiting to answer your questions on living and working in Czech Republic. Join Worky or Login to Join the Discussion.